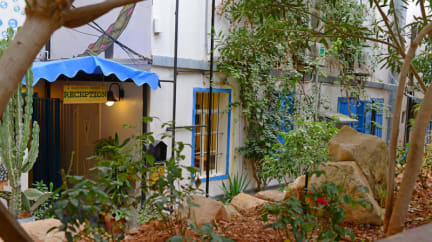 Saifi Urban Gardens has the aim to be a center for urban culture in the heart of Beirut. We will facilitate and encourage your desire to learn about and reflect on the culture of Beirut and the Arabic speaking world. In addition, we have a vast experience in the hospitality sector and a great knowledge of the city, that we capitalize to give useful trips to our guests and travellers. We are located in one of the best areas of the city, near to some of the finest attractions and landmarks of the city such as National Museum of Beirut, Raouche Rocks, Sassine Square and La Maison Rose, amongst other interesting spots of our area. We have affordable rooms with different capacities. 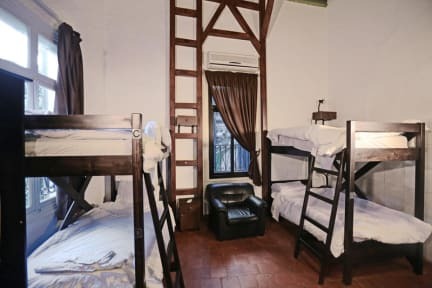 We have dorms for the venturesome travellers and we have private accommodation options for those who are seeking tranquility and relax. We also have both outdoor and indoor spaces available for you relax, perform, exhibit or just have fun with friends. Cancellation policy: 72h before arrival. This property might be pre-authorize your credit card. Upon check-in the total room charge must be paid in full. Upon check-in guests must give to Saifi their passport or (Lebanese) Identity card to make a copy. Saifi is not responsible for loss, theft or damage to guest property. Safes are available at the reception. Smoking is not allowed in rooms. Guests are welcome to smoke in common areas.